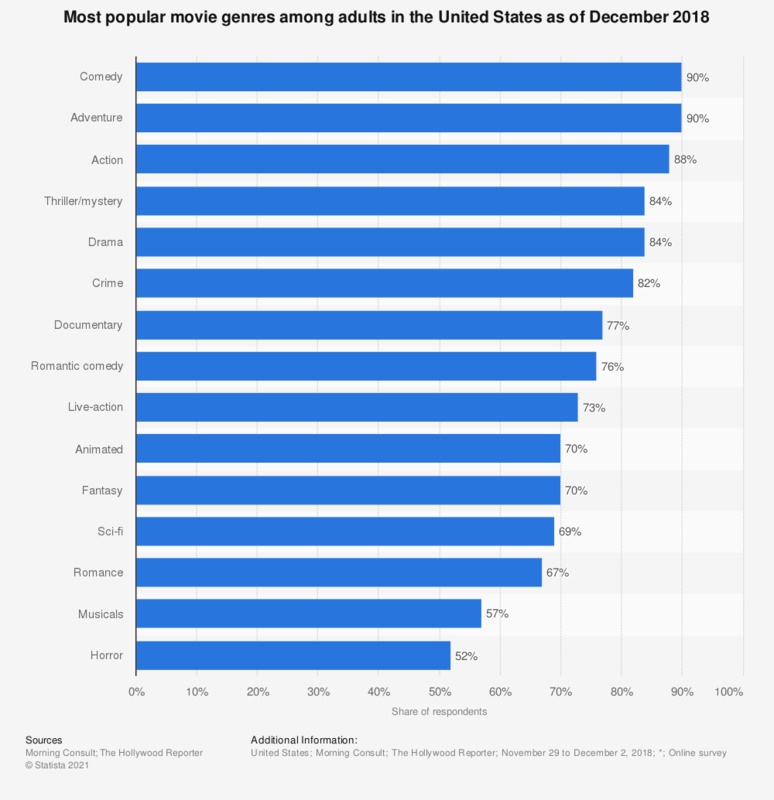 This statistic shows the most popular movie genres among adults in the United States as of December 2018. The findings reveal that 90 percent of respondents said that they had a very or somewhat favorable impression of comedy and adventure movies, making these genres the most popular among responding U.S. adults. The least favorable genres were horror and musicals. Comparison between gender and ethnicity also provided interesting results, particularly in terms of gender preferences for certain genres such as romance and musicals. *Total sample size was 2,200.Results given are reflective of respondents who had a very or somewhat favorable impression of the movie type.